Right... I said I was going to attempt to sketch the background as well... forget that. 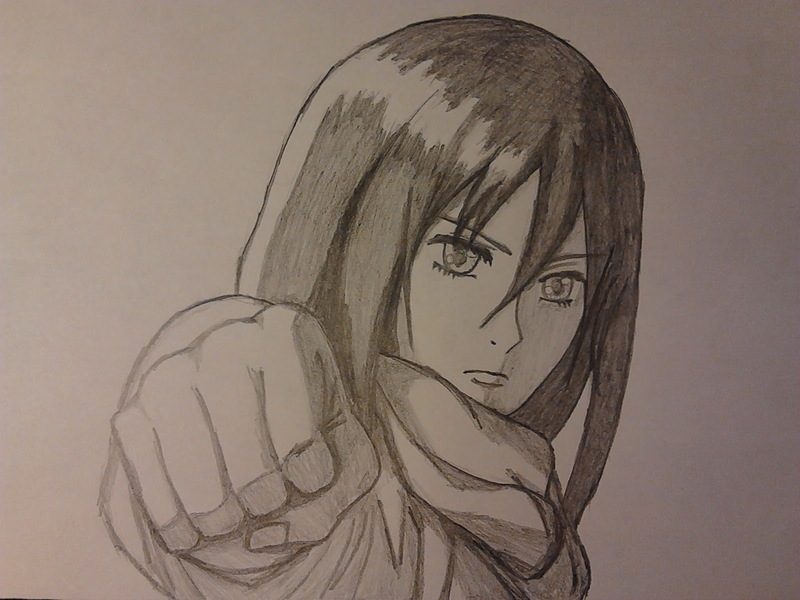 Scene is taken from Episode 2 of Shingeki no Kyojin. 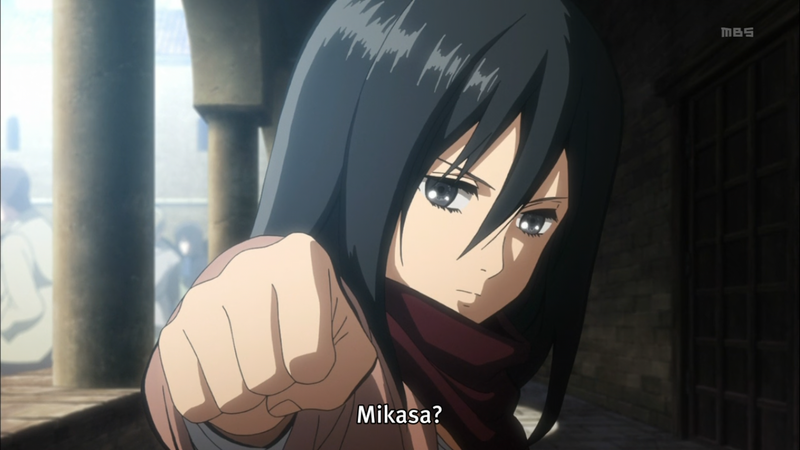 Character is Mikasa, the girl who has an 8-pack. She's so manly. Not entirely related pic. 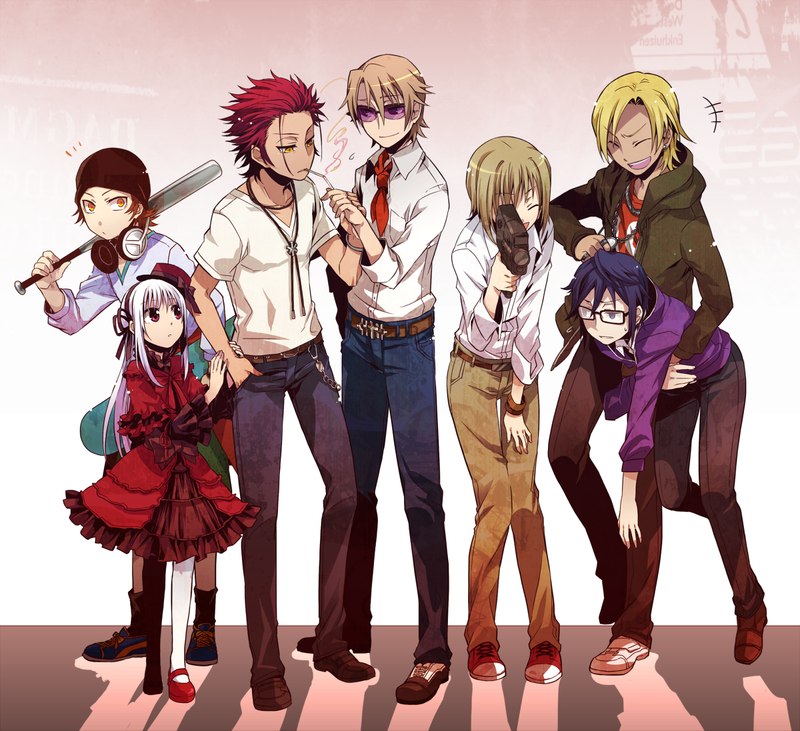 K <-> angela sings songs for this anime? I didn't even know angela was releasing an album today until I saw an update on my music source websites. angela is a 2-wo/man Jpop band. I discovered this band through the anime K. They provided about 4 songs to the anime. They are also providing the ending song to the currently airing anime Kakumeiki Valvrave. I like this band's lead singer's (atsuko) strong powerful female voice. I think her voice is on par with other strong female singers such as Faylan and May'n. This album was very energetic and I liked all of the songs on this album. Try it out here. Good Smile Company has the solution for a lonely iPhone. 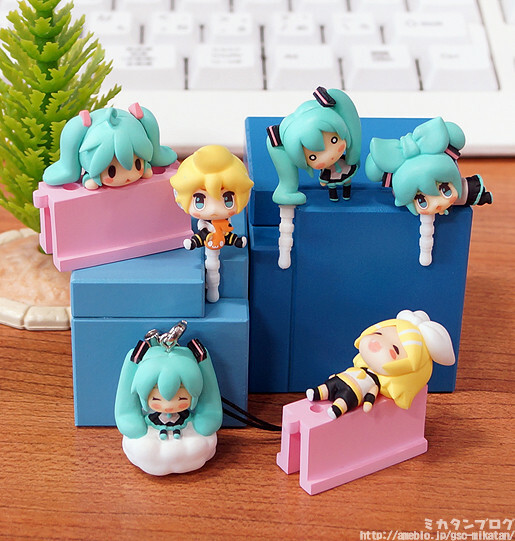 When it's not in use, you can cover the earphone jack with one of six Vocaloid earphone jacks. 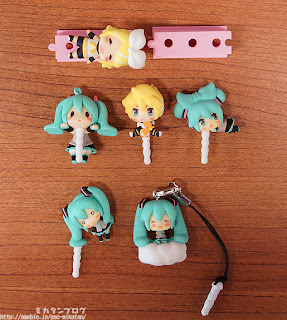 Hatsune Miku, Kagamine Rin and Kagamine Len are featured with designs based on illustrations by Y-oji, Souno and Putidevil. Arriving in August, these cuties will be selling trading packaging, with the blind boxes going for 500yen ($5) each. Sending stickers in Facebook Messenger was possible before today's update, but only using an invisible button that was located just to the left of the "+" button. It looks like Facebook is finally ready to reveal this feature, and has added a smiley face button to access the sticker screen. Multiple pages of smiley face and critter stickers are included in the app, with an optional sticker store that has even more cute critters you can download. Also listed in the change log is a batch of bug fixes, which is always good to see.